Could Diabetes Drug Metformin Help Keep People Slim? What is the most important information I should know about rifaximin? Rifaximin is an antibiotic that fights bacterial infection only in the intestines. Rifaximin works differently from other antibiotics because it passes through your stomach and into your intestines without being absorbed into your blood stream. Because rifaximin treats only the intestinal tract, it will not treat infections of other parts of the body. Rifaximin is used to treat travelers' diarrhea caused by E. coli in adults and children who are at least 12 years old. Most people get this infection by eating food or drinking fluids that have been contaminated with the E. coli bacteria. 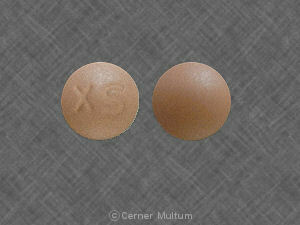 Rifaximin is also used to treat irritable bowel syndrome in adults whose main symptom is diarrhea. Rifaximin is also used to lower the risk of worsened brain function in adults with liver failure. Brain function can be affected when the liver stops working and cannot remove toxic substances from the body. Rifaximin may also be used for purposes not listed in this medication guide. What should I discuss with my healthcare provider before taking rifaximin? You should not take this medicine if you are allergic to rifaximin, rifabutin, rifampin, or rifapentine. It is not known whether rifaximin passes into breast milk or if it could harm a nursing baby. You should not breast-feed while using this medicine. Rifaximin should not be given to a child younger than 12 years old. How should I take rifaximin? Follow all directions on your prescription label. Do not take this medicine in larger or smaller amounts or for longer than recommended. You may take rifaximin with or without food. Use this medicine for the full prescribed length of time. Your symptoms may improve before the infection is completely cleared. Skipping doses may also increase your risk of further infection that is resistant to antibiotics. Rifaximin will not treat a viral infection such as the flu or a common cold. Call your doctor if your symptoms do not improve after 24 hours, or if they get worse while using rifaximin. Rifaximin does not treat all bacterial forms of traveler's diarrhea. What should I avoid while taking rifaximin? Antibiotic medicines can cause diarrhea, which may be a sign of a new infection. If you have diarrhea that is watery or bloody, call your doctor. Do not use anti-diarrhea medicine unless your doctor tells you to. What are the possible side effects of rifaximin? rapid weight gain, especially in your face and midsection. What other drugs will affect rifaximin? heart or blood pressure medicine --amiodarone, captopril, carvedilol, diltiazem, dronedarone, felodipine, quinidine, ranolazine, verapamil. This list is not complete. Other drugs may interact with rifaximin, including prescription and over-the-counter medicines, vitamins, and herbal products. Not all possible interactions are listed in this medication guide. Your pharmacist can provide more information about rifaximin. Copyright 1996-2017 Cerner Multum, Inc. Version: 4.02. Revision date: 6/1/2015.